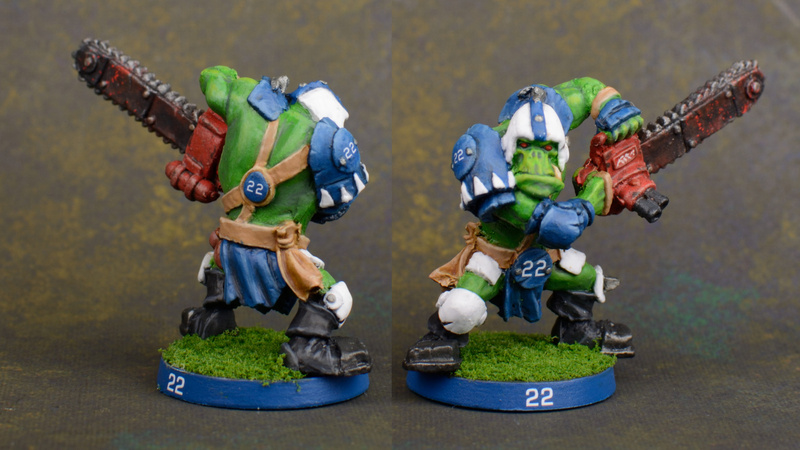 My first three seasons of Bloodbowl were spent playing with these Orcs. The miniatures are mostly by Meiko. Who, unfortunately don’t seem to be making any new teams. The only non-Meiko miniature is the Chainsaw player, who comes from Willy. I based their paint scheme and the logo on Penn State College Football.